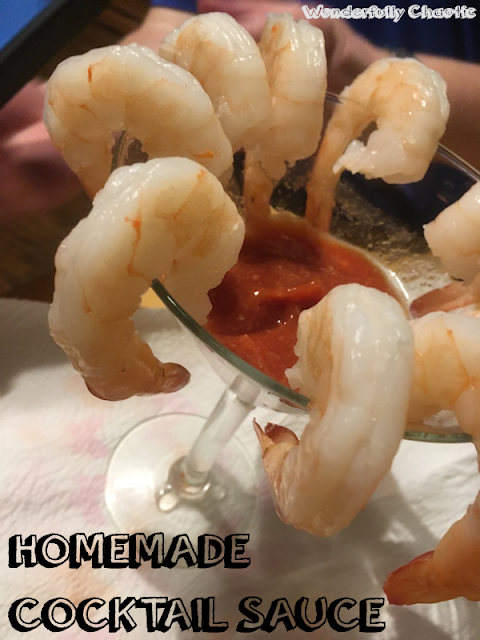 One of mine and my husband's favorite appetizers is shrimp cocktail. We've tried lots of different sauces - some that set your mouth on fire (St. Elmo's!) and others that were more mild. 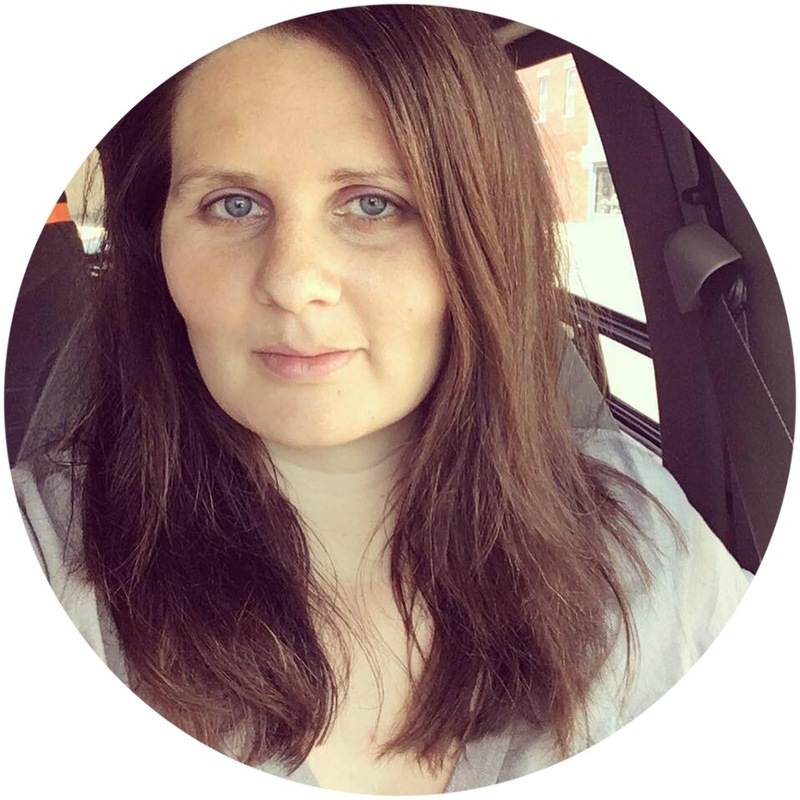 We got talking the other night and my husband wondered how difficult it would be to make our own. I balked at first, assuming it would require lots of time and ingredients...not so! Husband began looking up recipes and we stopped by the store for the one thing we didn't have on hand. Folks, it was SO easy! 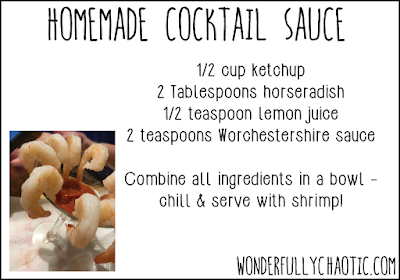 I don't know if we'll ever buy cocktail sauce again. 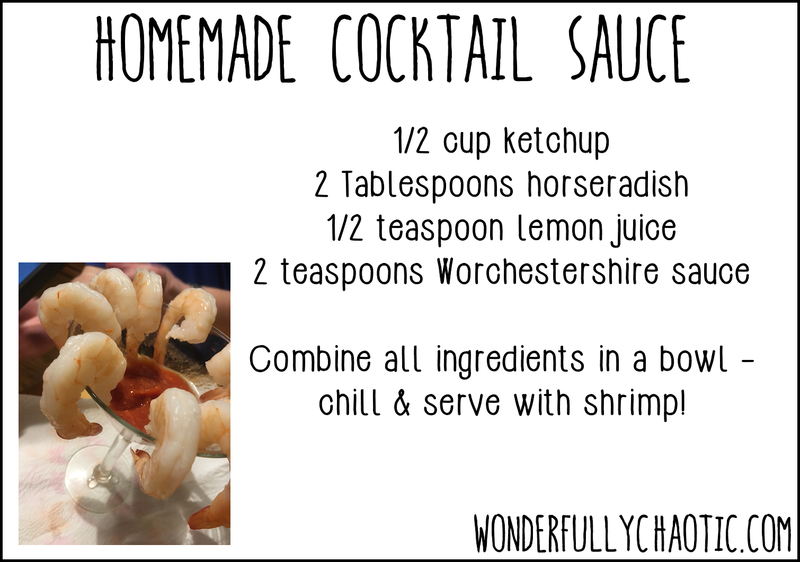 Combine all ingredients together in a bowl - chill and serve with shrimp! I also made a recipe card (below) if you'd like to save it for later. Enjoy!